On Oct. 28, 2000, I personally met and took pictures with our 41st United States president. I was invited by my nephew, Raul Villarreal Jr., and niece, Velinda Villarreal Reyes, to go to College Station and attend a Texas A&M football game. I gladly accepted their invitation, and to this day I am grateful that I did accept their invitation. Here’s why. After the game we went to Garcia’s Mexican Restaurant located in College Station. I recognized one of the restaurant patrons as being our past president, George H.W. Bush. I told my niece and nephew that I wanted to take a picture with Mr. Bush, but both my niece and nephew were opposed to my approaching the president and asking to take a picture with him. I cautiously approached the president’s Secret Service security and asked them if I could ask the president to take a picture with me. A Secret Service agent told me that it was not permissible, but President Bush advised the agent that he would take a picture with me. After the first picture, I advised President Bush that I had a Bush-Cheney shirt and asked if he would take another picture with me if I put on this Bush-Cheney shirt? He agreed to take another picture with me once I put on his son’s shirt. To top it off, President Bush autographed this shirt, which I still have. 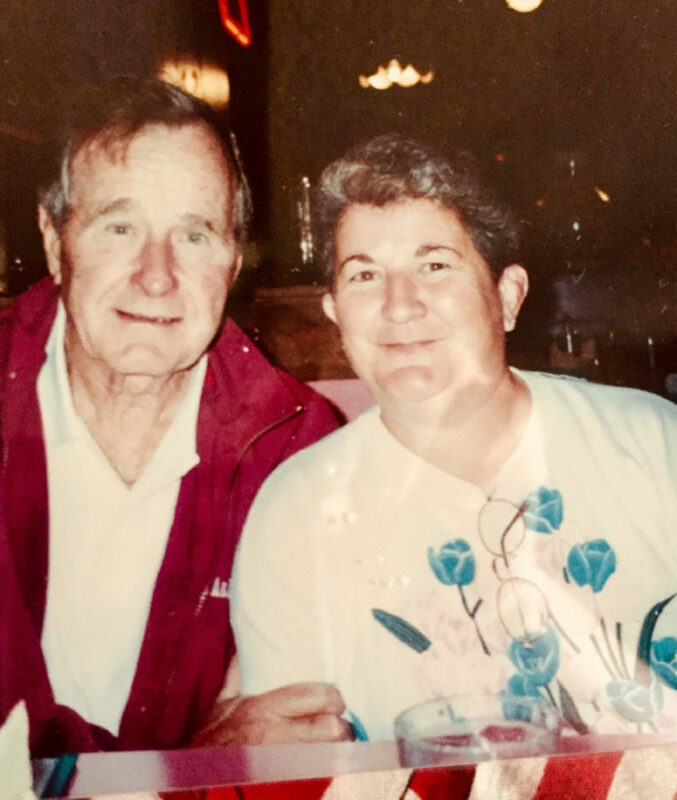 Special thanks to our deceased President Bush for his presidency, leadership, kindness and for taking pictures with me. May our 41st president rest in peace, and may his family and all the nation get the needed strength, wisdom and understanding during this very difficult time.